An architectural highlight is light transmitting concrete. 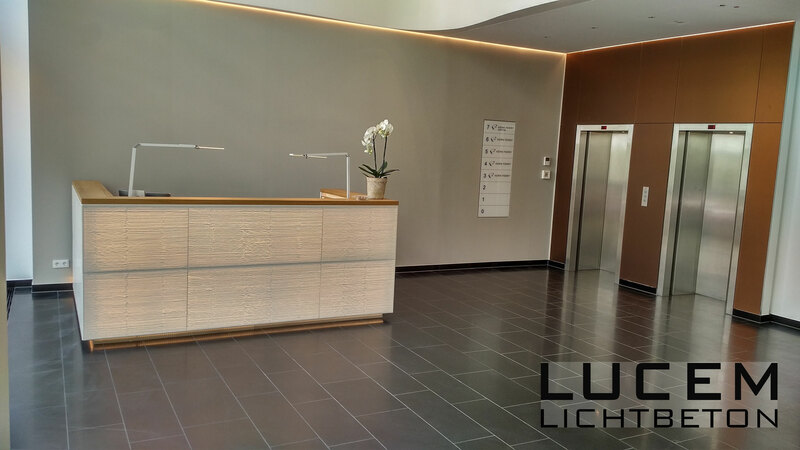 This was also recognized by Deka Immobilien resulting in realizing a reception area of an office building in Frankfurt with a counter cladding made with LUCEM light transmitting concrete. 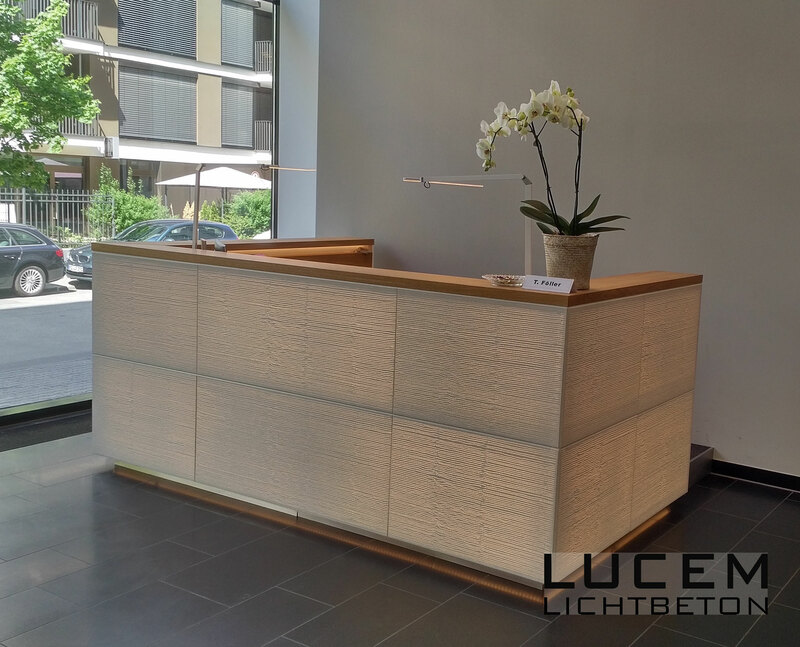 For the tailor-made reception desk in Frankfurt, a wooden carcass was clad with LUCEM panels. Details such as miter cuts on the front panels complete the masterpiece of craftmanship. 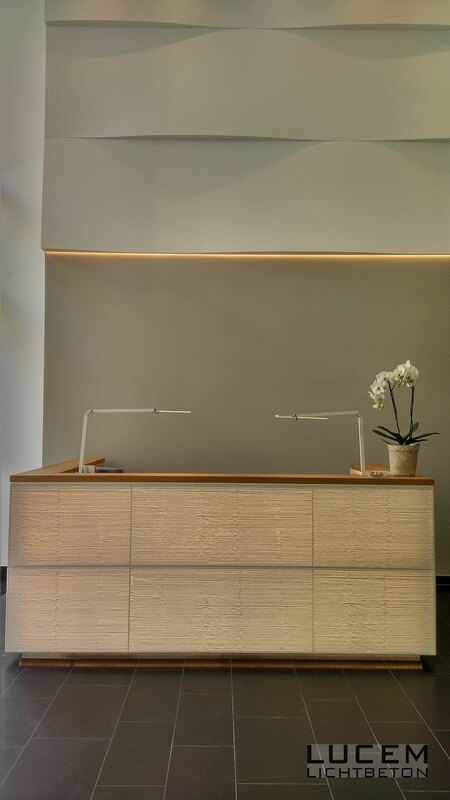 As an individual piece of furniture, the counter also offers hidden integrated PC workstations, storage areas and writing pads. 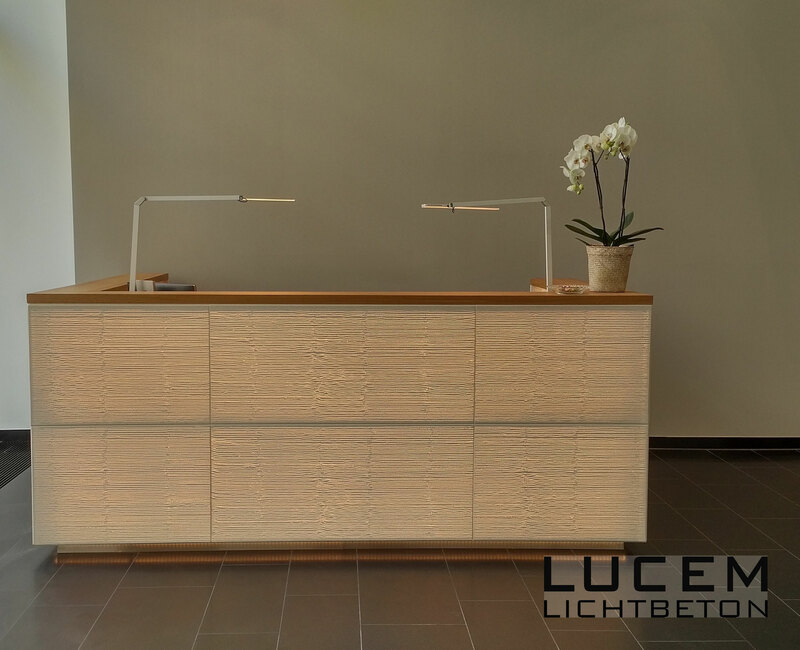 The installation method uses aluminum brackets to hold the LUCEM panels. Slabs in the format of 120 x 60 cm with a thickness of 2 cm and the color white have been used. 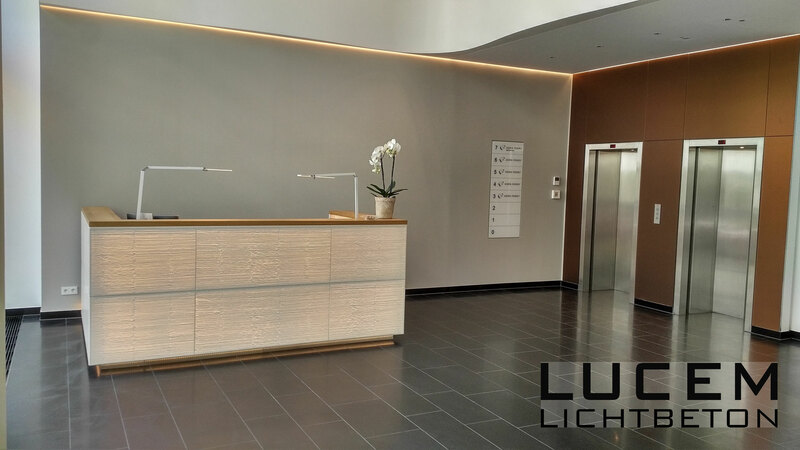 On request LUCEM also produces large format panels and individual formats. The standard colors are anthracite and white. The processing of LUCEM light concrete slabs is similar to the processing of natural stone. Energy-saving LED technology ensures minimal energy consumption. In addition to white light, colors and color gradients can be realized, as well as individually controlled panels or lighting scenarios via software.